How do you make white the glass with paint kit along with the fuselage? Ok I find out but it's nearly impossible doing livery with the paintkit. 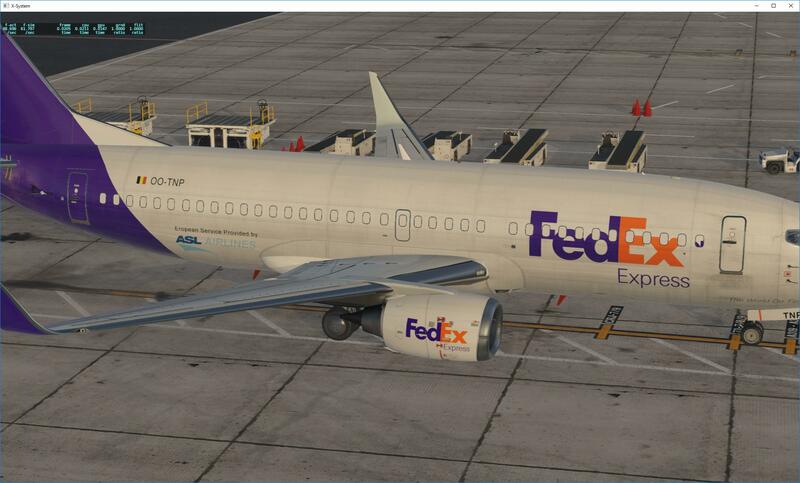 I’m having the same issue, as I am making the exact same livery, it’s the ‘fedex’ logo that causes this problem. have you since found a correction for this? There is no way as all the window are placed in one single position on the texture. If the developer doesn't create a cargo version no way that could work. Something I believe may have worked it out..well kind of. Edit the logo on the opposite side (cargo door), and cut a window shade out of that logo which goes over the 3rd window, use uv layer to guide you, and from the looks of it, the part you need to cut out is in between the top of the ‘E’ that joins into the ‘F’.